Preheat oven to 400°F. 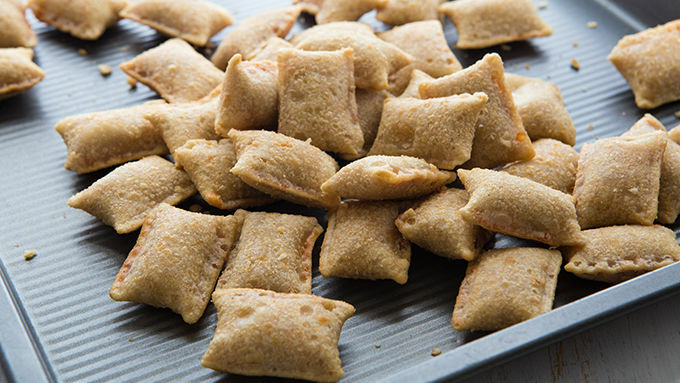 Place Totino’s™ Pizza Rolls™ on a parchment-lined baking sheet. Bake in oven 8-12 minutes or until sizzling and golden brown around the edges. In a large microwave-safe bowl, microwave cheese cubes and diced tomatoes together for 3-5 minutes or until the cheese melts. Stir in Old El Paso™ taco seasoning. 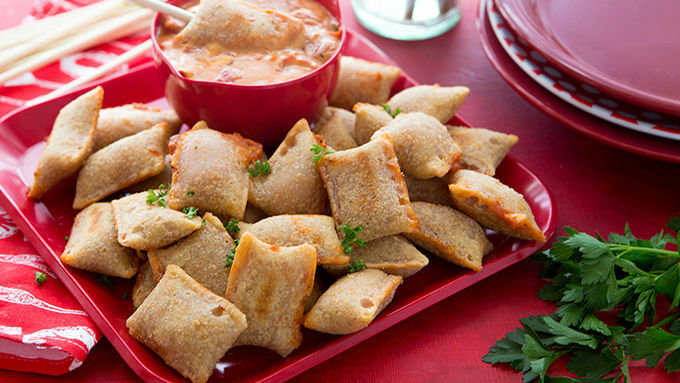 Serve immediately with warm pizza rolls for dipping. Enjoy! Simple wooden skewers are a great stand-in for fondue forks. Prepare the cheesy dip in a small slow cooker up to 2 hours before serving. Simply mix cheese, tomatoes, and taco seasoning together and heat on high until smooth. If serving for a party, the slow cooker is a great way to keep the dip hot! Party? Pizza Rolls™ (and spicy cheese), please! Game day, parties, and girls-night-sleepovers will never be the same again. Not since the creation of pizza and beer has bar food ever been so radical. Or is that epic? Oh, whatever they're are calling cool things these days. This is that. Totino's™. Pizza. Rolls. Spicy. Fondue. All the things that are all the rage. Mixed into a fondue pot and served with skewered pizza dippers. What more could a pub-food lover wish for? Call in the troops, hand over the skewers, and dive into this spicy dip. While you're at it, drink a beer. Unless, of course, it’s a girls-night-sleepover. Then it’s fuzzy PJs, a glass of wine, and a chick flick for you.